MAC Cosmetics Announces Release Date and Products for Aaliyah Makeup Line! Today, MAC Cosmetics announced the release date for their Aaliyah collection of makeup. 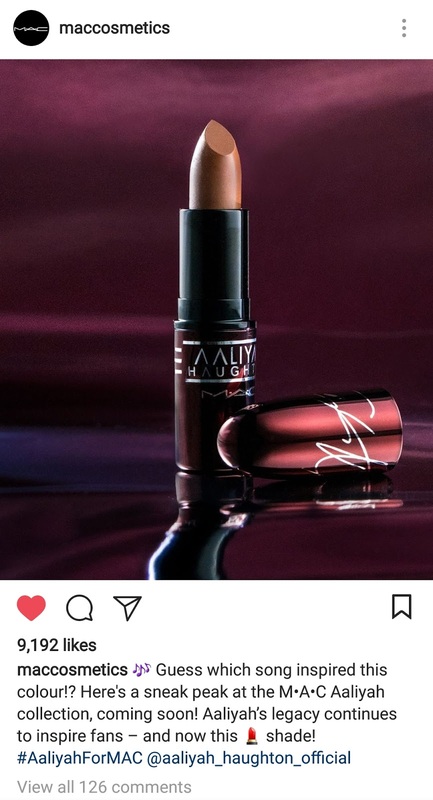 On June 20th, 2018, the Aaliyah for MAC collection will launch online, and it will hit stores the next day on June 21st. It will be released internationally some time this summer. MAC Cosmetics released a statement on social media about the singer's legacy. They said, "Aaliyah lives on in a makeup collection influenced by her groundbreaking work in music and film." The singer's fans were excited about the release date. Instagram user, @youve.reached.b said, "They better not let me down!!! I'm waiting. Money in savings." LOL! 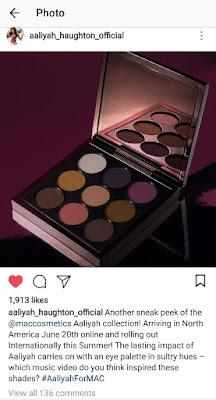 MAC Cosmetics made their first announcement about the late singer's collection in August of 2017. 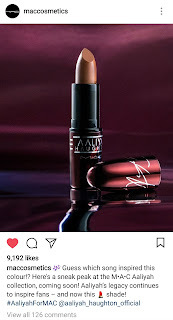 Last week, it was announced on Aaliyah's official social media pages that they would also be partnering with MAC Cosmetics to do a film, "The A-Z of Aaliyah" to celebrate the singer's legacy. Fans were asked to submit a photo or video of themselves explaining how Aaliyah has inspired them and use relevant hashtags. The deadline for submissions is Friday, April 6th, 2018. The winners of the contest will be flown to New York to participate in the video. Awesome! We can't wait to see the Aaliyah Collection and film! What do you think about Aaliyah's new MAC lipstick and eye palette? Also, what other products would you like to see included in the collection? Calling all Aaliyah super fans! I-D and @maccosmetics invite you to join us to participate in the A-Z of Aaliyah, a film celebrating her legacy. 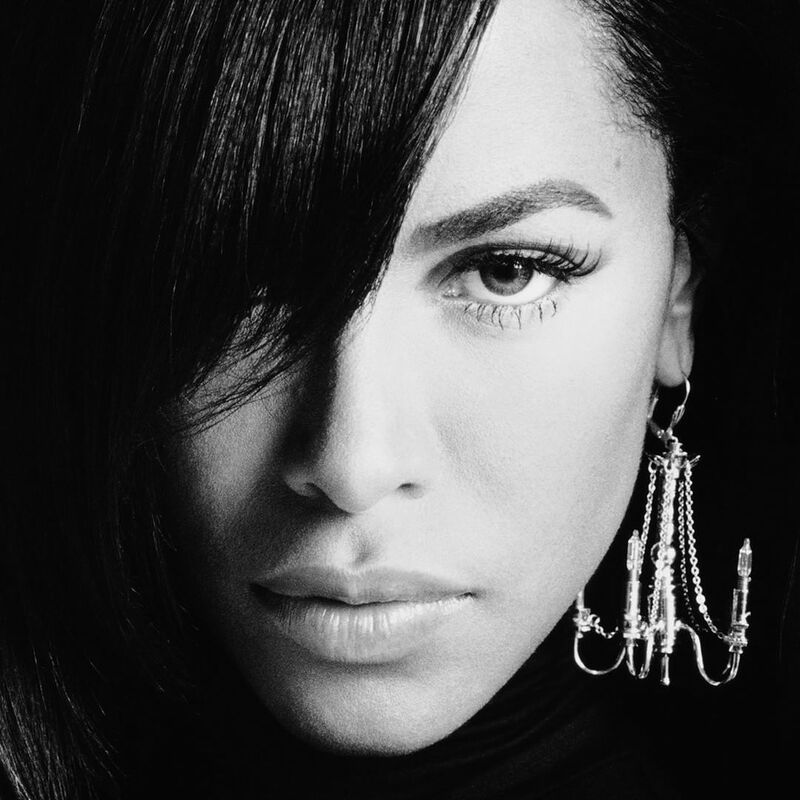 To get involved, by 4/6 post a photo or video of yourself that shows how Aaliyah has inspired you, using the hashtags #AtoZofAaliyah and #AaliyahForMAC and complete the information on the landing page. Link in bio. Top submissions will be flown to New York to be a part of the video!